FRESNAYE, Roger de la (artist). RIMBAUD, Arthur. Les illuminations. 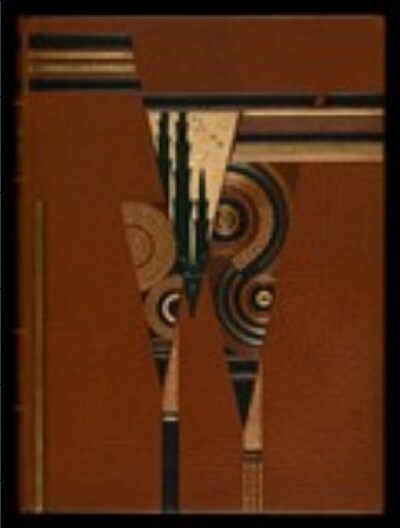 Binding by Georges Leroux (1922-1999), 1951. VIDAL, Pierre (artist). LOUYS, Pierre. Les aventures du roi Pausole. 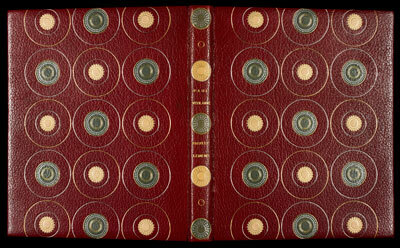 Binding by Charles Septier (f. 1933-58), c. 1950.
gold-tooling, gold-stamped lettering, raised spine bands; gilt edges. BONNARD, Pierre (artist). VERLAINE, Paul. Parallèlement. Lithographs in rose ink, wood engravings, and letterpress. 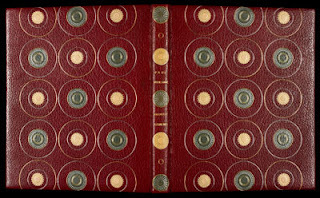 Binding by Jacques Anthoine-Legrain (1907-c. 1970), date unknown. 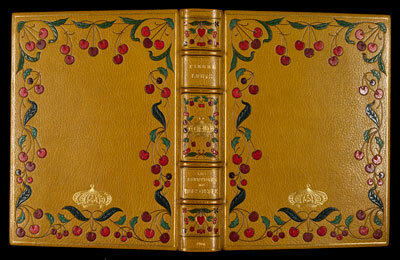 gold- and silver-tooling, gold-stamped lettering; gilt edges. MIRÓ, Joan (artist). Éluard, Paul. A toute épreuve. Color and black and white woodcuts, collagraphs, and collage; letterpress. 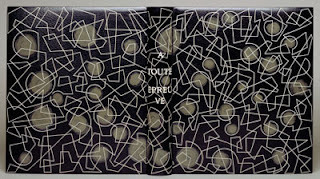 Binding by Henri Mercher (1912-1976), c. 1959. SCHMIED, François-Louis (artist). MARDUS, J.C. Le paradis musulman. 32 woodcuts in black and white and color and one printed a third time in color. Binding by Henri Noulac (1866 - 1931), 1930.
and cover guard edged in leather. Images courtesy of the Minneapolis Institute of Arts, with our thanks. 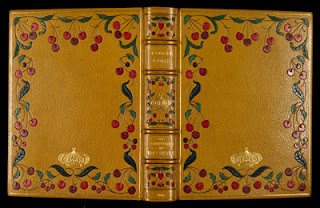 I actually miss fancy binding on books. 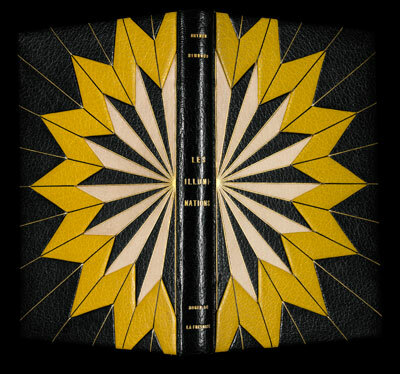 OK, I don't "miss" it because I'm not 150 years old but I think that these type of covers are very appealing. A Pop-Up Book of "Exquisite, Sentimental Beauty"